Funeral services for Deborah "Debbie" Henrichs, of Morris, will be on Wednesday, November 28, 2018 at 10:30 a.m. at St. Paul's Evangelical Lutheran Church in Morris with Reverend Donald Main officiating. Visitation will be on Tuesday evening from 5:00 - 8:00 p.m. at the Pedersen Funeral Home in Morris and will continue one hour prior to the services at the church on Wednesday. Burial will be at Kongsvinger Lutheran Cemetery in Donnelly. Deborah Kay Syverson was born on December 19, 1963 in Morris, Minnesota to Lyle and Charlotte (Snelling) Syverson. Debbie was raised in Morris where she was baptized and confirmed at St. Paul’s Evangelical Lutheran Church. Debbie attended school in the Morris school district where she graduated with the Morris High School class of 1982. Following graduation, Debbie worked a few jobs, including the Dairy Queen where she met her dear friend, Bernie Krosch. One of Debbie’s favorite pastimes was being in the pits at the racetrack, while there; she was introduced to Roland “Rollie” Henrichs. The two began dating and were married on May 13, 1989. They made their home in Morris where they raised their three children. Debbie worked in the food service department at the University of Minnesota – Morris for over 25 years and also co-owned “It’s A Piece Of Cake” with Bernie Krosch. In 2012, Debbie was diagnosed with Breast Cancer and again with Metastatic Breast Cancer in 2014. She continued to fight, work, live life and spend time with her grandkids every second she could, until the good Lord took her home. Debbie had several hobbies, including: gardening, crafting, stamping, racing, camping and baking cakes. She loved spending time with “The Ladies" and the many trips that they went on. 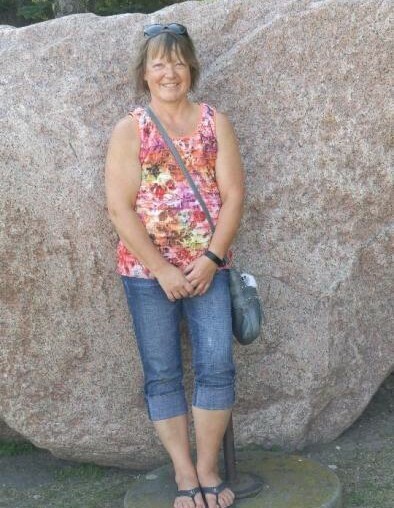 Debbie was a member of St. Paul’s Evangelical Lutheran Church in Morris and was very active and supported community events, especially the Stevens County Relay for Life. Most importantly, she cherished the time that she was able to spend with her family. 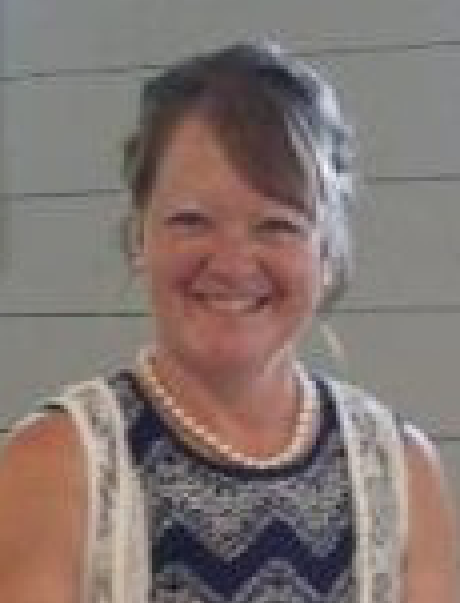 Debbie died peacefully on Thursday, November 22, 2018 surrounded by her family at her home in Morris, she was 54 years old. Debbie is survived by her husband, Roland “Rollie” of Morris; daughters: Crystal (Brad) Searle of Donnelly and Lacey Henrichs of Morris; son, Dylan of Morris; three granddaughters: Ellery, Chevelle, and Bristyl; granddog, Bentley Jo; mother and stepdad, Char (Ronald) Castor of Morris; sisters: Teresa (Zac) Grant of Morris and Kris Krusemark of Morris; brothers-in-law and sisters-in-law: Robert (Barb) Henrichs of Evansville, Lois Koehntop of Donnelly, Audray (Nancy) Henrichs of Donnelly, Delores (Warren) Rathke of Hoffman, Glen (Judy) Henrichs of Morris, Connie (Dale) Eystad of Starbuck, Sharon Henrichs of Chokio and many aunts, uncles, nieces, nephews and cousins. She is preceded in death by her grandparents: Clifford and Malinda Snelling and Otto and Emma Syverson; father, Lyle Syverson; parents-in-law: James and Bernice Henrichs; aunts: Lois “Tuts” Keil, Violet Jaeck and Chleo Syverson; uncle, Les Syverson; brothers-in-law: James Henrichs, Jr., Donald Henrichs, and Stanley Koehntop. Pedersen Funeral Home in Morris is in charge of arrangements for Debbie Henrichs.